Jan. 30, 2015 For the first time ever, the NFL will air a pitch perfect, poignant PSA by No More.org against domestic violence that resonates on multiple levels and can be used as a tool to uncork important conversations even in the classroom. Scripted with powerful realism, brilliant visual execution and based on a compilation of authentic 911 calls, this amazing PSA is a powerful outreach tool and icebreaker for topics like teen dating violence, consent, student campus assault, bullying,…especially in a year when the World Health Organization has ranked adolescent health as a priority with a worldwide lens of concern focusing on youth ages 10-19! As with any media literacy narrative, reading between the lines is what it’s all about…listen carefully to what’s being said, and not said. Airing this Sunday with NFL support, it’s a ‘show and tell’ moment conveying the ‘things are not always as they seem’ reality that readily applies to ALL media narratives, showcasing the need to use critical thinking at ALL times and not take ANY situation at face value. Though Super Bowl ads are rife with examples to spring-board out of the shallow end into deeper thinking and murky waters impacting children’s health and wellness, this SPECIFIC public service announcement is a case study in digging beneath the surface to look at the roots rather than the topsoil. I absolutely love it. How can we use this PSA with teens to instill media literacy? Why do you think this is airing during the Super Bowl? What events precipitated this ad and who is behind it? Who helped fund the PSA and why? What do you think it cost? Have you ever been in a dangerous situation where you couldn’t speak freely or truthfully? What outcomes do you think this might have among students—players–the Super Bowl audience? What demographics are they trying to reach and do you think they succeeded? What did you learn about content, tonality, and subtext of messages? “When it’s hard to talk, it’s up to us to listen” is the tag line, who is the “us” you think they’re referring to? The ‘pre-game’ lineup of social media buzz is already occurring with the #NoMore hashtag for the PSA adding lift to the #DV (domestic violence) hashtag and #VAW (violence against women) hashtag where conversations primarily reside. Students might study the difference between awareness vs action…Super Bowl Ads that persuade for purchases vs purposes…Or even write about the role of advocacy overall as it’s veered into mass media sports events. They could follow the money trail of ‘sponsorship’ and watch how pinkwashing controversies of NFL’s Pink October are media manufactured machinations vs sustainable change maneuvers…And track NFL policy and behavioral change to incite accountability. 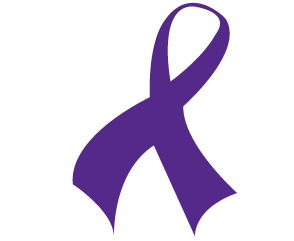 It’s a quick way to teach why turning profiles purple for DV or having football players wearing purple bands may be supportive and social but not necessarily convert to policy and practices. Students could also report on social media’s role in social justice movements and the spillage into sports arenas (like the solidarity of uniforms/basketball jerseys w/Ferguson/I Can’t Breathe) or discuss media fairness and politics of media coverage in general, like Seattle Seahawks Marshawn Lynch’s personal protest, agency vs. contractual obligations etc. The choices are endless…and the headlines springing from headline news, current events and pop culture are bound to engage far more than textbook teaching. What Does A 13-Year Old Boy Know About Dating Violence? Plenty.